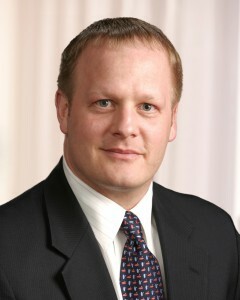 The law firm of Warner Norcross & Judd LLP today announced that David C. C. Eberhard has been named a partner. Eberhard co-chairs the firm’s Construction Law Practice Group and focuses his practice in the areas of real estate, construction, financial services, corporate and business law. He serves on Business Advisory Board for Macomb-Oakland University INCubator and on the boards of the Church Extension Fund, Historic Trinity Lutheran Church and Lutheran Heritage Foundation. He is a member of the International Council of Shopping Centers, ABA, State Bar of Michigan and Macomb County Bar Association. Eberhard holds an undergraduate degree from the University of Michigan and doctor of jurisprudence from University of Detroit Mercy School of Law. Eberhard is one of four new partners for Warner Norcross. They practice in a variety of areas, from estate and tax planning to general litigation and corporate law. They serve clients across the state and around the world from the law firm’s offices in Grand Rapids, Macomb County and Holland. Warner Norcross & Judd is a corporate law firm with 220 attorneys practicing in six offices throughout Michigan: Southfield, Macomb County, Grand Rapids, Holland, Lansing and Muskegon. By providing discerning and proactive legal advice, Warner Norcross & Judd forges a better partnership with its clients. To learn more, visit www.wnj.com.